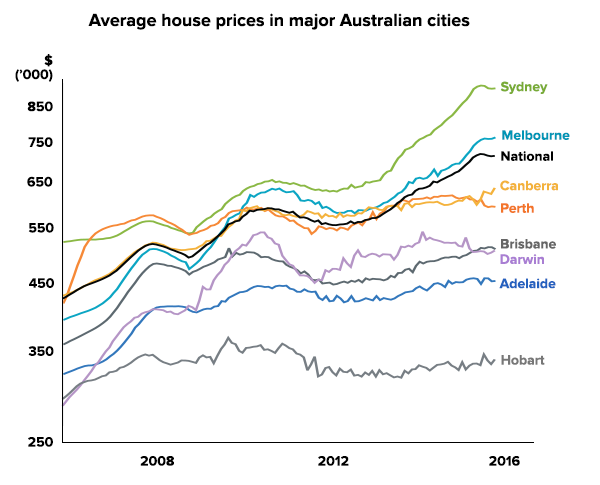 The property market is rarely out of the news in Australia, with regular predictions of house prices collapsing being followed by weekends of record auctions and prices. Property has certainly had a good run over the past few years. According to CoreLogic RP Data, the average house in Sydney has increased in value from $650,000 in 2012 to over $1,066,000 in 2017. That’s a 64% rise in 5 years! 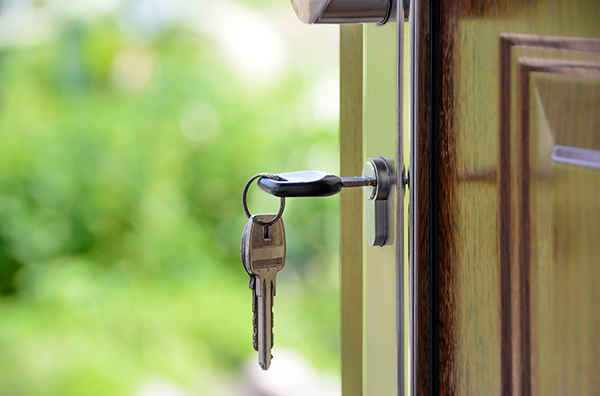 As property has become less affordable, more people are looking at a popular alternative which is to rent and invest their savings in a portfolio of shares instead. Over the last 30 years, both property and shares in Australia have returned between 11.0% and 11.5% per year so both are proven ways to grow your long term wealth. But which is better today? There are many factors to consider when assessing whether to buy a property, or rent and invest your savings in shares instead. In our article Property or Shares we considered some of the pros and cons of each and in Rent vs Buy we looked at the benefits of renting over buying. Here we compare property investment versus shares across 3 common valuation measures to see how they stack up today. Despite similar long-term returns, property and shares are always at different points in their own market cycles. When looking to invest for the next 5 years, it’s worth thinking about where each is positioned in their own cycle and what that could mean about the future. 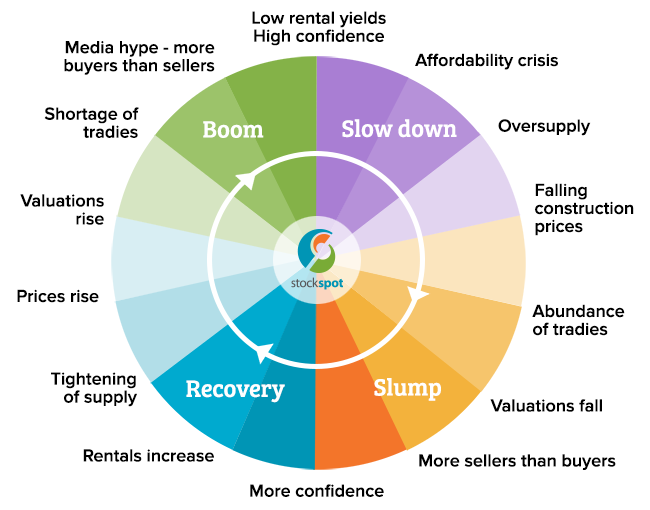 Since the financial crisis in 2008-2009, property has been in the recovery and then boom stages, helped by low interest rates and supply shortages. History has shown that investments are often most popular near the top of their cycle. This is when the market is hot and there is high confidence that prices will keep on rising. Silly stuff happens at the top of the cycle like we saw in the US property market in 2006-2008, as depicted in The Big Short. Today property investing is 3 times as popular as buying Australian shares. This shows how confident people are about real estate investment right now. High confidence around an investment often comes before periods of flat or falling prices as reality catches up to everyone’s excitement. For example, US shares were at their most popular ever in 1999 – just before the infamous tech crash. That said, confidence levels can remain elevated for a long time and it’s always hard to pick the peak. Stock analysts were calling the top of the US tech boom years before it actually ended, just as many commentators have been predicting Australian house prices to fall for a decade now. In any boom you can be sure that many people will try to pick the top but few will succeed with their timing without the benefit of hindsight! 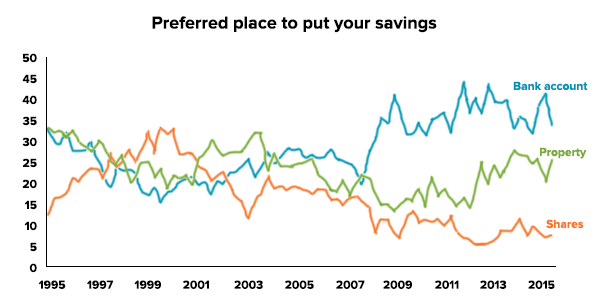 Then there are shares, which have become less popular in recent years with only 7.8% of people surveyed thinking shares are the best place to invest, which is half the long term average. Based on excitement levels, those who are renting and investing in shares currently have the upper hand since they’re likely to be investing at a better point in the cycle. Australian shares are still below the levels they reached 10 years ago in 2007 so they are still in the recovery stage. People who are renting and investing their extra savings in shares are able to quietly squirrel away savings and pay low rents while everyone else is jumping over each other to buy a house. But patience is a virtue for those renting since the strongest temptation to get involved in an investment usually comes around the top when everyone else is most excited. That’s when FOMO (fear of missing out) is at its hardest to resist. All markets move in cycles. It’s tempting to get involved when confidence and excitement are high, but doing what’s less popular can be the safer and smarter bet in anticipation of when returns inevitably go back to normal. When you invest there are 2 types of return. One is your capital return (house or share prices rising) and the other is income return (rent if you own a home, dividends if you own shares). The investment cycle that we discussed earlier can give you some hints about likely capital returns in the future but income return is even easier to calculate and compare in a measured way. A simple way of comparing property versus shares is in the return you get from rent and dividends. It is often pointed out to renters that they give property owners a regular income called a rental return. This is where the saying ‘rent money is dead money’ comes from. However those same people renting can invest the extra money they would have put towards a mortgage (and other costs like council rates, repairs, body corporate and water) into shares and earn their own return through dividends. 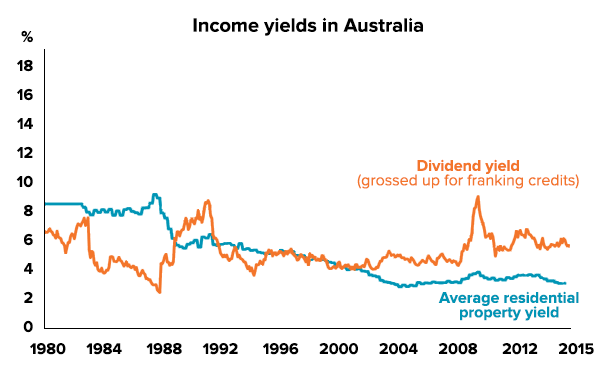 In 2000 rental returns were roughly the same as Australian share dividend returns of 5%. However rental yields have been steadily falling since around 2000, meaning owners are getting a lower rental return each year. Recently the rents from property in capital cities have declined to around 3.2% per year. On the other hand, the dividend return from a diversified portfolio of Australian shares including franking credits is still around 6.0% per year. This would suggest those renting and investing in shares (earning 6.0% in franked dividends minus 3.1% in rents) can get a better income return than those investing in property (earning 3.1% in rents minus 4% in mortgage repayments). For example if you bought property for $1 million, the rental return you can get each year is about $32,000 for the average home in Sydney. Invest that same $1 million in a mixed portfolio of shares and your yearly return is around $60,000 including tax credits. Shares are therefore earning about 87% more than property. 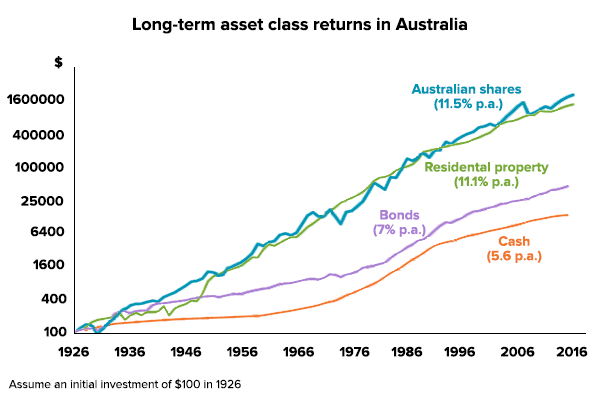 Currently the difference between property and share returns is at its widest since at least the 1970s. Of course this is only one of many factors to consider but it would suggest that shares as an investment are better ‘value’ than property at the moment and by the widest margin for 40 years. How long would it take you to pay off a house using only rental income? And how long would it take to cover the cost of a share investment using only dividends? In finance this is known as your payback period and comparing the payback period of 2 similar investments can give you some idea of whether they are expensive or cheap. Payback period is calculated by dividing how much you pay for an investment by the return you get from it each year. Low risk investments often have a long payback period. For example the payback period of a savings account paying 2% per year is 50 years (100 divided by 2). That’s a very long time but cash is a very safe place to put your money. Higher risk investments can be paid back over shorter time periods. Since shares and property are both growth investments with similar long term risk and returns you would expect their payback periods to be quite similar. In capital cities like Sydney and Melbourne, it would take around 31 years to cover the cost of your house with rents. In Perth, Adelaide and Brisbane it would be 25 years and in Darwin and Hobart a little less. Low rents now mean that it could take 3 decades for home owners to pay back their investment using rent. Compare that to 30 years ago when it would only take 13 years to cover the cost of the average Australian home with the rents you could receive. A portfolio of diversified Australian shares would take 17 years to pay back using today’s dividends. That’s 14 years less than a property in Sydney or Melbourne. Once again this means renters have a good deal at the moment. Renters don’t need to pay much in rent to be able to live in an expensive house. Meanwhile they can invest their extra savings in shares and double their money with dividends 14 years quicker than if putting their savings towards a mortgage. Of course this is very simplistic and there are other factors like capital gains tax and negative gearing that can impact these decisions. We have discussed some of these other considerations in Property or Shares and Rent vs Buy. Property has had a good run since 2012 but those renting and investing their savings in shares are likely to have the upper hand over the next 5 years as shares have some catching up to do. Income from shares is much higher than property at the moment and shares are at an earlier stage of the market cycle. As a result of generating more income shares also have a shorter payback period. Investing in shares used to be quite tricky and risky when you had to pick each individual stock (Telstra, Woolworths, BHP etc), but automated investing and robo-advice services like ours have made it much more simple, allowing anyone to invest in a balanced portfolio made up of thousands of shares without the need to watch markets. The Stockspot portfolios are focused in Australian and global shares, but also include some bonds and property companies (Real Estate Investment Trusts or REITS). We believe that a share portfolio that includes some property and bonds is a safer investment just than buying a house since your risk is spread more evenly, so you’re better diversified. Owning shares also gives you much more flexibility since they’re easy, quick and cheap to sell. A property on the other hand can take months to sell and the selling costs can be high. You can read about the importance of spreading your investment risk in our article How to put your eggs in different baskets. Note: Please keep in mind that this article provides general advice only and doesn’t consider your personal circumstances. You should seek advice specific to your personal situation before making any financial investment decision. Investment in financial products involves risk. Past performance of financial products is no assurance of future performance.